So you want to can, but you don’t know how to use your canning supplies? You’re in luck. Here’s WHERE to get them, and HOW to use them. Canning is easier and more satisfying than you think. It produces delicious, high-quality food that’s absolutely economical, and boost self-reliance. Learn how to properly use your canning supplies and keep summer flavor for many seasons to come. I’ve learned how to can when we were just getting started with homesteading. With the experience I have under my belt, I thought it would be nice to share my knowledge and skills to people who’ve always wanted to try canning..it’s not as hard as you think! It’s the same with daily cooking but requires more time and needs more attention to cleanliness. But all in all, it’s absolutely doable. So, let’s get started. First, you’ll need some supplies! Hey, we sell them, just click here and scroll to the bottom to claim yours. Clean your lids and jars first. Since we will be preserving food, cleanliness is a must. 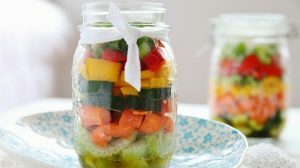 It’s not enough to wash your jars, to ensure that the food you will be canning lasts longer, you must also sterilize them. Prepare the food you are going to can. Keeping your canning jars hot will keep them from breaking or cracking when you place hot food inside. You can keep the canning jars hot until you’re ready to fill it by storing them upside down in a large pot that has 2 or 3 inches of hot water. Heat the water to reach boiling point and turn off heat. Keep the jars in the water until you need to use them. Citric acid is something you can add to increase the acidity of the food. Not only does it improve flavor and color but it also helps minimize the risk of growing bacteria especially when canning tomatoes. Fill each jar and make sure to leave the suggested head space. If your recipe does not have any suggested head space, leave ½ to 1-inch head space. Use a non-metallic spatula to remove the air bubbles around the inside of the jar. Also, don’t forget to clean the rim to make sure there is no excess food. You can wipe it with clean paper towel or a damp towel. 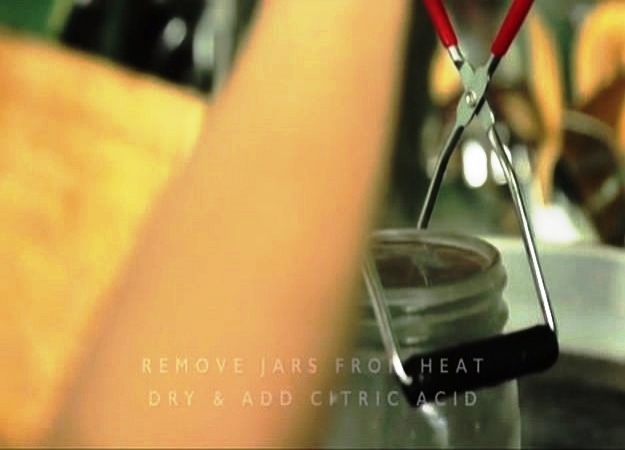 Center the hot lid on the jar using your magnetic lid lifter and tighten the lid until fingertip tight. Now that you have all the jars filled and sealed, lower them gently into the water. Fill your water bath canner with water. Make sure that the water is about one inch above the jars. Place the cover securely and start processing timer when the water begins to boil. Turn the heat on high and let it steam to exhaust for about 10 minutes. This thrusts all the air from the canner. While waiting, check your recipe for how many pounds of pressure the particular food needs to be processed at and how long you need to process it. Be sure to adjust the numbers based on your altitude. Some manufacturers require 15 pounds of pressure when processing foods at 2,000+ feet above sea level regardless of what the recipe says. Remove the jars using your jar lifter, making sure not to tilt them. Allow them to cool for about eight hours or more. You can leave the jars on your kitchen counter top overnight. Once the containers have cooled, the seals should not appear pot up, it should be sucked down. Press the top of the lids to check whether they are up or down. Then, take off the screw caps and label each jar with date and food type. When storing jars, make sure to place them in a cool, dark, dry environment. Avoid storing in direct sunlight or high humidity. Step 13: Enjoy Your Homemade Preserves! Store them at room temperature until you are ready to use them! Isn’t that fun and easy? So, what are you waiting for? Grab the best canning supplies here and get started. Eating food you preserved yourself is completely rewarding, healthy and undeniably delicious! Need a canning recipe? Click here and learn how to pickle an okra. Did you find this helpful and interesting? Let me know in the comments below.